Random House Books for Young Readers, 9780307980601, 32pp. a bedtime kiss from butterflies. are tucked in tight beneath the moon. This peaceful and imaginative board book invites a bunny—tucked snugly in bed—to dream of comforting scenes from nature’s bedtime. Each spread reveals a delightful dreamscape for children to imagine as they drift off to the lulling rhyming text. From the talented author-illustrator of Haiku Baby—which was selected as a CCBC Choices 2009 title—and Have You Ever Tickled a Tiger? comes the perfect bedtime read! 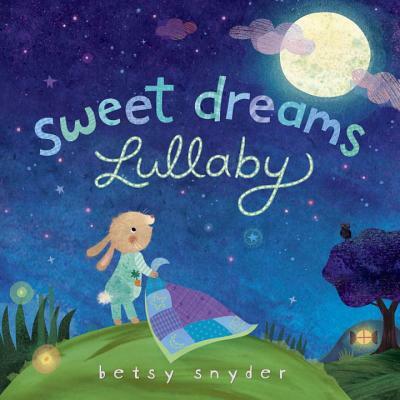 BETSY SNYDER is a seasoned illustrator-designer of children's greeting cards in addition to writing and illustrating children's books. Her work has been recognized with the Please Touch Museum's 23rd Annual Book Award, a Silver Addy Award—Cleveland (2006), and has been selected for the Society of Illustrators 49th and 50th Annual Exhibition (2006, and 2007 shows). Animals and nature have fascinated Betsy since she was a young child, fishing and catching salamanders in ponds of Pennsylvania. She lives near Cleveland, Ohio, with her husband and young children.